No other barnyard animal has the rooster's sense of place and belonging. 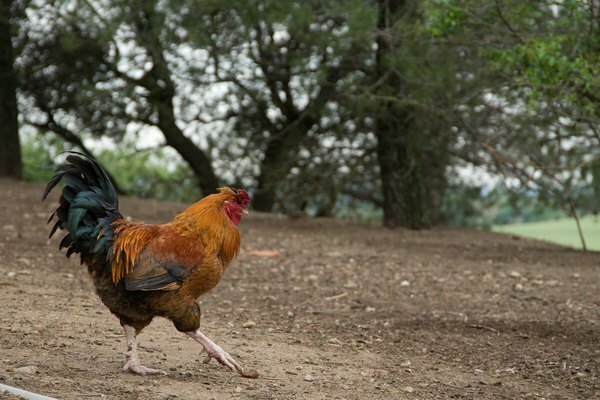 With comb flung high on his head, body puffed to ridiculous size and a strut that's the definition of cocksure, the rooster truly rules the roost. 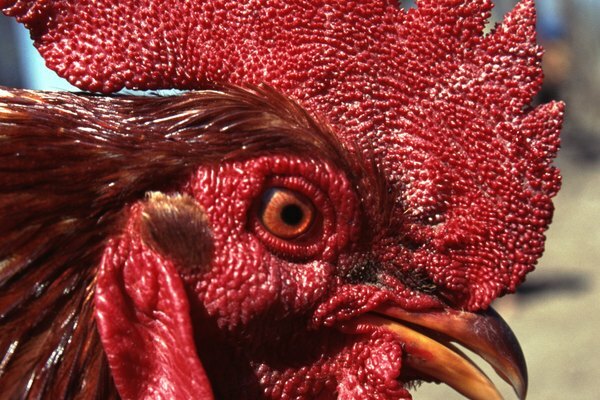 The rooster's comb — that red, fleshy tissue on a chicken's skull — is his dashing symbol of fertility and dominance. Changing color in the comb can signal changes in mood or potential health issues. A rooster's changing comb can be alarming to his owner, but color change can actually be a sign of good chicken health. Generally speaking, the comb's color is dictated by blood flow; it changes as blood increases or decreases in different areas of the body. An agitated rooster, or one who's experiencing a surge in testosterone, will exhibit a darker comb -- in red-combed roosters, this change will appear purplish; in purple-combed roosters, the comb could darken to almost black. 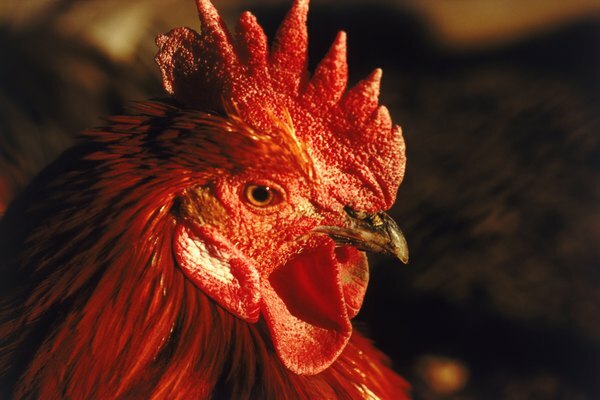 As disorienting as it can be to see a rooster undergo such a dramatic change in physical appearance, the color change is usually a sign of circulatory health. The comb will return to its normal hue once the rooster settles down. Ambient temperature changes can cause a rooster's comb to change colors. It's not uncommon to see, on a hot day, a rooster sporting a brilliant red comb as blood pulses through it, cooling before it moves back inside -- a very important trait for an animal who cannot sweat. Likewise, when the temperature drops, the comb may darken, as blood flow to the comb slows to retain heat in other parts of the body. When winter weather turns very cold, you may notice the ends of a rooster's comb turn purple and stay that way. This is frostbite. Though it's not necessarily dangerous to the chicken -- infection is possible, though rare -- it can result in permanent disfiguration of the comb. In frostbite, following the purplish discoloration, an effect of blood not reaching the oxygen-starved tips, the affected areas of the comb will further darken, turn brittle and eventually fall off. Ways to prevent frostbite include applying petroleum jelly to the comb and controlling humidity in the coop. Comb color change can signal that something is wrong. A darkened comb on an unwell chicken could be a symptom of something as simple as dehydration or be an indicator of blood circulation issues resulting from a respiratory infection or even a heart problem. If a rooster is acting unwell -- lethargic, unresponsive, head tucked into breast -- comb color change will help a veterinarian determine what's wrong.